We are happy to answer any questions you have, and help you book your kitesurfing adventure! Email us by filling in the form to the right. We are located beachfront on Avenida Malecon, in Santa Marianita, on a beautiful stretch of beach known as Playa Bonita. All lessons begin at our school, the exact location is on the map below. What is it like to learn Kitesurfing? The Kite Ecuador team in action! 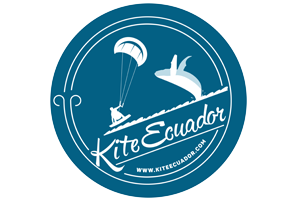 Subscribe for updates and specials from Kite Ecuador!